I fixed this with barbecue chicken, but I think it would be excellent with grilled shrimp and garlic bread. It’s delicious and very quick and easy. 1/3 cup juice gave it a light lemon taste. If you like it more lemony, use more lemon juice. 1 medium lemon is 3 tablespoons juice. Drizzle some olive oil in a large pot of boiling salted water, add the capellini, and cook al dente. Drain quickly, leaving a little water with the capellini. 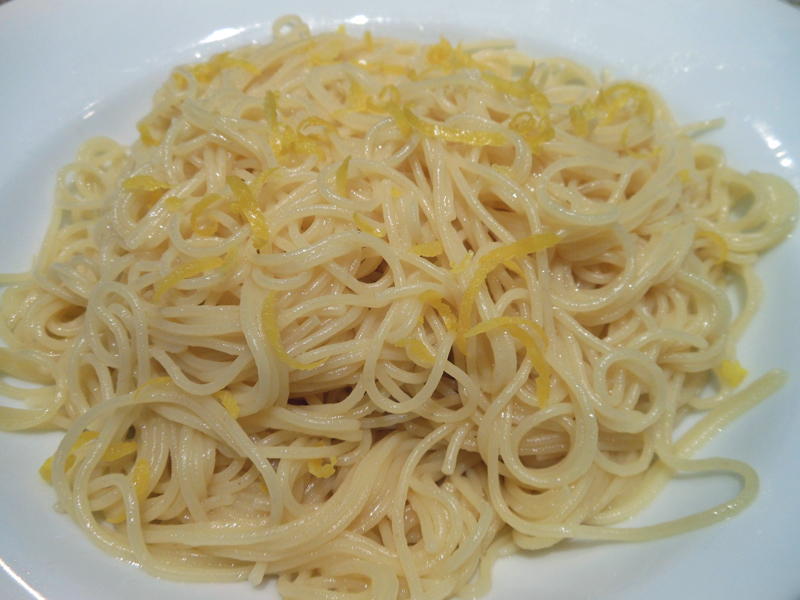 Quickly toss the capellini with the melted butter, lemon zest, lemon juice, and salt. What a simple and straightforward recipe. Thanks for sharing! Can’t wait to try this!!! I am going to Michigan with my family. I am taking this recipe with me!!! H.